This post is sponsored by ShopSmarter but the content and opinions expressed here are my own. I have admired the fabulous clothes on ASOS for so long and have never bought anything until I discovered ShopSmarter. Yes, I know the clothes are budget-friendly but when you frequently shop thrift stores almost everything seems overpriced. ShopSmarter acts as a personal online savings assistant. 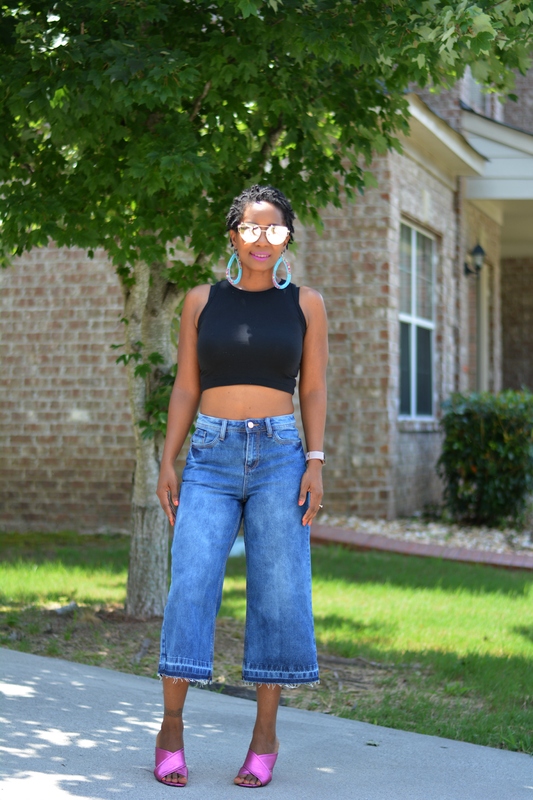 Here's how I found two of my fashion faves - high waist and culottes plus paid less than half of the retail price on my entire purchase. 1. Price Comparison My retail shopping habits are a lot like my thrift shopping habits. I look for high quality at the lowest possible price. Beginning my search for culottes on ShopSmarter.com allowed me to easily see different styles from different brands in one place. I can plug in my price range and let the site do the magic. I can fine tune my search by selecting certain brands or stores too. 2. Coupons ShopSmarter pulls in all of the coupon codes available for the store. I was able to see that ASOS has free shipping when you spend $40 in addition to some pretty fab culottes. You ever go online shopping and get to the checkout and abandon cart because that shipping fee seems like too much to handle. That's usually where I check myself and end up "abandoning cart". Knowing that I only needed to hit $40 to qualify for free shipping made ASOS even more appealing. 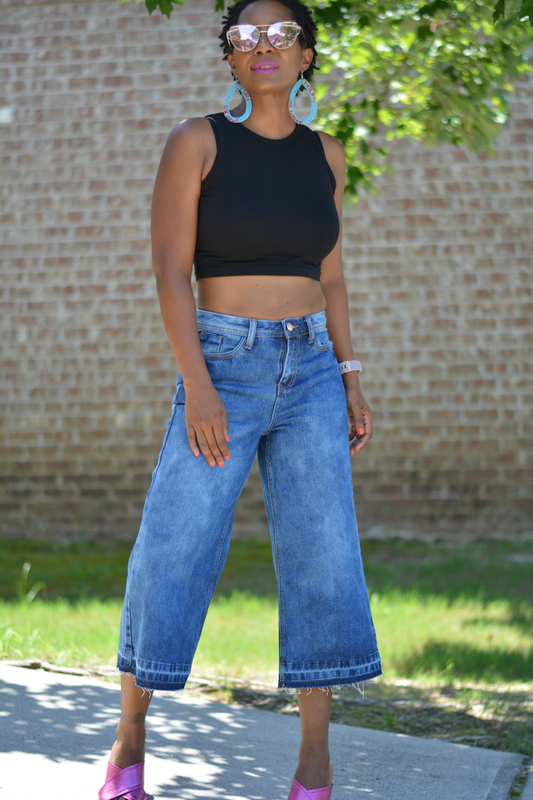 Naturally, I went straight to the sale tab and found a few budget-friendly items to add to my cart along with the denim culottes. Why pay shipping when you can find another piece to wear? 3. 10% Cash Back At the start of the quarter, ShopSmarter will send you payment for the cash back you received during the previous quarter. There are over 1000 retailers on ShopSmarter. My guess is the store you shop all the time is listed there. That includes the big box favorites Target and Walmart. I was shocked to find ASOS, Groupon and Sephora too. That's an extra 10% savings and once a month, ShopSmarter members can earn 20% cash back on their purchases for a limited amount of time! That's like having the tax or shipping covered with every purchase. Every little bit helps especially at Sephora. I go into sticker shop every time I reach checkout over there. After sales, coupons, free shipping and cash back, my $132 purchase is only $63. I'm happy to have found a way to shop smarter. If you'd like to give it a try, visit ShopSmarter.com for a 7 day trial membership that includes access to all of the benefits.